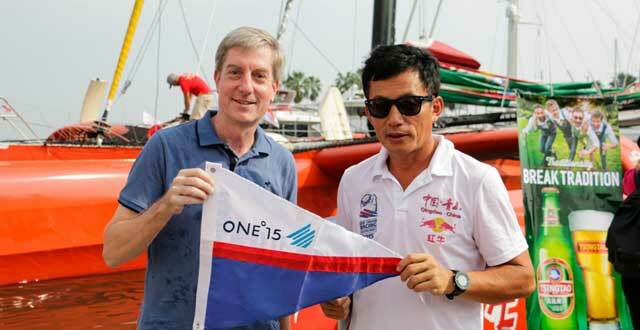 As the sailing capital of China, Qingdao hosted the event to encourage non-governmental exchanges on sports, tourism, culture, trade, and overseas Chinese affairs, promote city image in an all-round manner, and showcase the unique charm of Qingdao as the "Sailing City". The super trimaran Qingdao China departed from Qingdao, the home port, on Oct 21, and called at nine cities in Asia, Africa and Europe. The two-month voyage involved such activities as press conferences, welcoming/sailing ceremonies, city brand promotions and on-board experience. 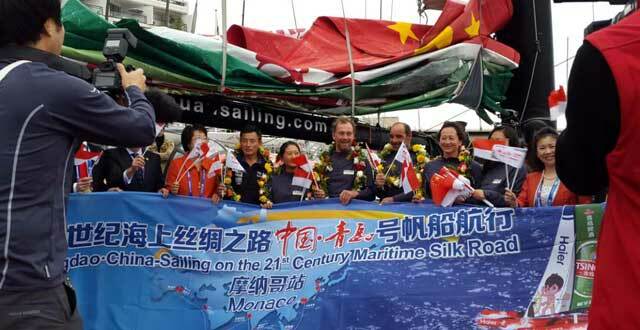 'Qingdao China', a super trimaran named after the Chinese sailing city, arrived at Monaco, the destination of its global voyage on the 21st Century Maritime Silk Road, on Dec 19. 'Qingdao China' ship harbored in the Mediterranean port of Alexandria in Egypt as a stop in its journey along the 21st Century Maritime Silk Road. "Sailing on the 21st Century Maritime Silk Road", an event to promote Qingdao's image as China's main sailing city, has completed half of its voyage as its super trimaran called at Mumbai, on Nov 23. 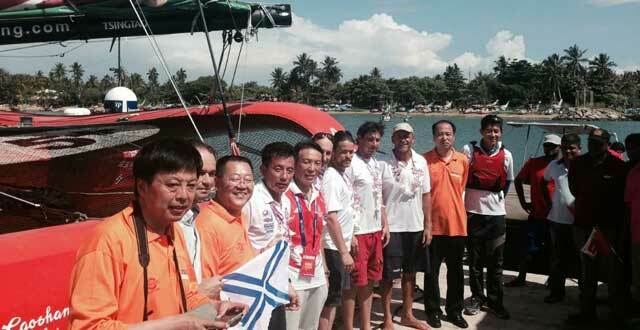 Qingdao held a series of activities to promote its image as China's sailing city in Sri Lanka as the super trimaran arrived in Mirissa, the country's southern harbor city, on Nov 16. Qingdao China, the super trimaran named after the coastal city of Qingdao, Shandong province, arrived in Singapore on Nov 7, its fourth port of call. Qingdao held an activity in HK on Oct 31 to further promote mutual exchanges and cooperation between the two cities after its super trimaran Qingdao China arrived at Victoria Harbor. After Shanghai, Qingdao China, the super trimaran named after the city of Qingdao, Shandong province, arrived in its second port of call, Guangzhou, capital city of South China's Guangdong province, on Oct 28. Qingdao held a city image promotion activity in Shanghai as its Qingdao China trimaran yacht called at the Huangpu River in Shanghai on Oct 23. 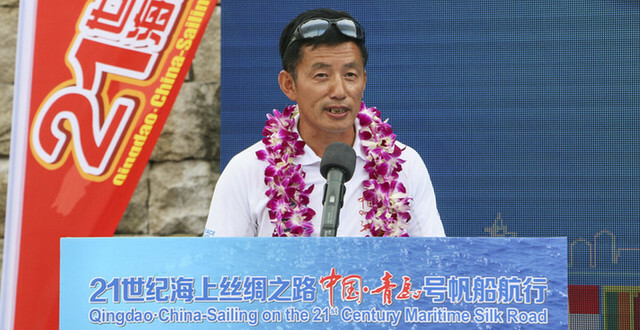 Guo Chuan will set sail again in mid-October to explore the maritiem silk road after having completed a record-setting passage in the Artic Ocean with his international crew.